Summary: Serious and fatal car accidents often happen in intersections. How can these car accidents be avoided? An intersection is a point on the roadway where two or more roads from different directions cross, converge, or meet. An intersection can be of many different sizes and configurations, and one intersection can have as many as six or eight roadways converging. No wonder many automobile accidents occur on dangerous intersections not only in Missouri, but in the entire United States. Car accidents occur when pedestrians and drivers engage in different motions such as turning right or left, or crossing over. Statistics revealed by the National Highway Traffic Safety Administration show that close to 4o percent of all accidents across the United States, and 21 percent of all fatal accidents occur at intersections. In 2010, National Highway Traffic Safety Administration had conducted a study on the crash factors involved in intersection-related accidents and identified the following driver patterns that caused the accidents. 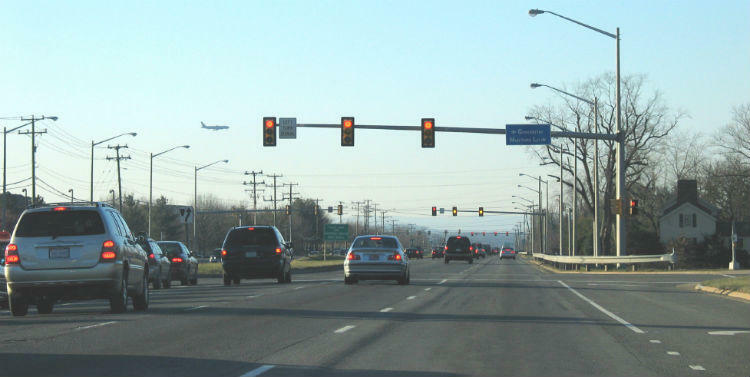 • While crossing over intersections that have stop signs or traffic signals, many crashes are caused because of a driver’s illegal turns or inattention. The chances of an accident increase when the driver is turning left at the traffic signal and their view is obstructed or they fail to correctly judge the speed of the oncoming vehicle. Right turn crashes are mostly caused because of the failure of the driver to judge or anticipate the other driver’s actions. • The NHTSA also noted some age distinctions. Intersection accidents involving drivers who are 24 years or younger are mostly caused by driver distraction, aggressive driving, speeding, or failure to gauge other driver’s intentions. Drivers in the age group of 25 to 54 are involved in intersection accidents that are caused by critical non-performance errors, inattention, aggressive driving, or illegal turns. The drivers that are 54 years or older are usually involved in intersection accidents caused because of inability to correctly judge the other vehicle’s speed, or inadequate surveillance. • The study also noted that female drivers involved in traffic signal controlled intersection accidents were either distracted by an internal factor or misjudged another driver’s intentions. On the other hand, male drivers are likely to be involved in intersection accidents caused by aggressive driving, critical non-performance errors, and illegal turns. Our St. Louis car accident attorney feels that there needs to be better awareness about traffic safety at intersections. Drivers should also be extra cautious when changing lanes or driving through intersections. In case you or someone close to you has been injured in an intersection accident, consult with The Hoffmann Law Firm, L.L.C. at (314) 361-4242. We will help you reach an amicable settlement with the other party, or if necessary, help take your case to court and ensure that you get the damages that you deserve.